Wicked Stock is owned and operated by Wicked Stock Manufacturing Company. We are a Baltimore MD based company specializing in manufacture and sales of leather apparel and outdoor sporting equipment and accessories. We specialize in manufacture of all types of motorcycle riding gear and accessories. 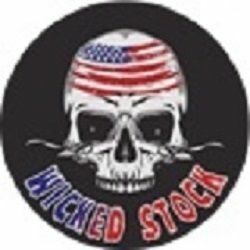 Wicked Stock’s goal is to bring the best possible shopping experience to any enthusiast who visits our online stores (eBay, Amazon and this website) looking for motorcycle jackets, apparel, motorcycle gear, accessories & almost everything else that goes on your person or your motorcycle. We also manufacture a broad range of leather fashion apparel and accessories for men and women.